Home Latest Exclusive: The Movie Rangeela Raja Got Finally Clarence From The Censor Board! Bollywood is a place where we see every day a new controversy take place due to some major or minor change in films. 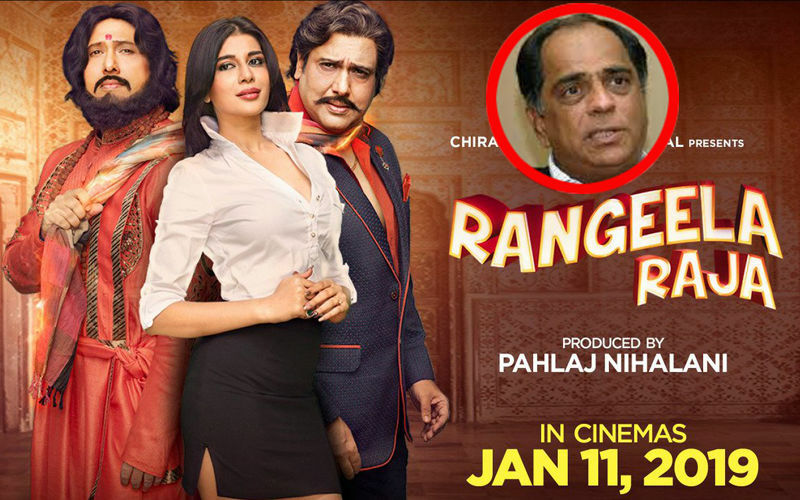 Over the past couple of weeks, there have been multiple debates, articles and reports about the release of the pahlaj Nilani’s film Rangeela Raja. In fact, after Nihalani accused the Censor Board of Film Certification of being prejudice towards big producers, the ex-CBFC chief and filmmaker had moved court seeking are lease of his film. Initially when Pahlaj Nihalani confirmed about the controversy then for the same he quoted, “As of now we have no option but to wait till November 19. Till then as directed by the court we will use the available options and approach the Film Certification Appellate Tribunal (FCAT). However, given the timeline right now, it is certain that we will release Rangeela Raja only in December”. 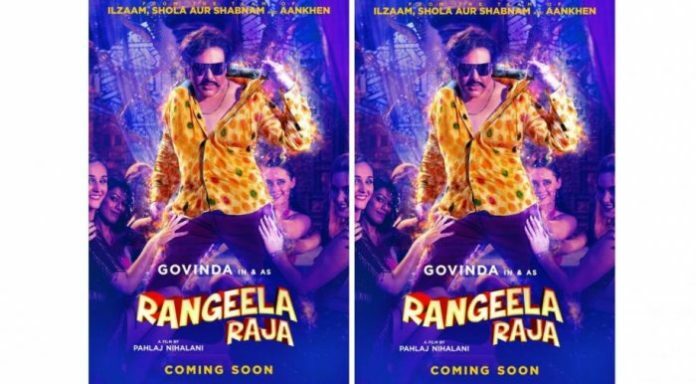 Pahlaj Nihalani’s directorial movie Rangeela Raja finally got clearance from the censor board and a new release date of the film is finalized. The latest update come from the sources after almost a month-long release battle, the film is finally going to hit theatres on January 11 with the 3 cuts. Pahlaj Nihalani has now released the new poster of the film along with the new release date. Rangeela Raja strarrer Govina in a lead role and Digangana Suryavanshi is cast opposite the actor. Govinda will be seen playing the double role of twin brothers in the movie, one brother is secular and another spoilt. The movie director Pahlaj Nihalani and Govinada is working together after twenty five. They had last worked together in Aankhen movie. The movie Rangeela Raja is schedule to release on January 11, 2019.